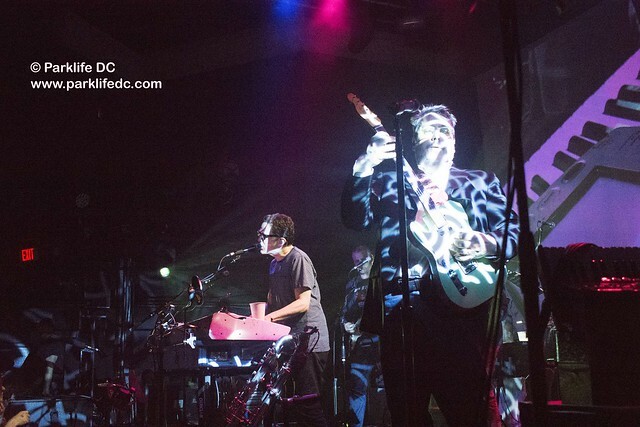 Posted on 04/17/2018 by Mickey McCarter	in Live Review and tagged 9:30 Club, Brooklyn, experimental rock, jangle pop, They Might Be Giants. 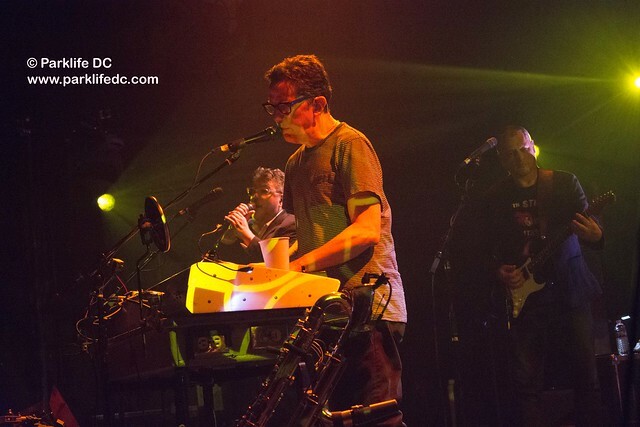 They Might Be Giants perform at 9:30 Club on April 14, 2018. 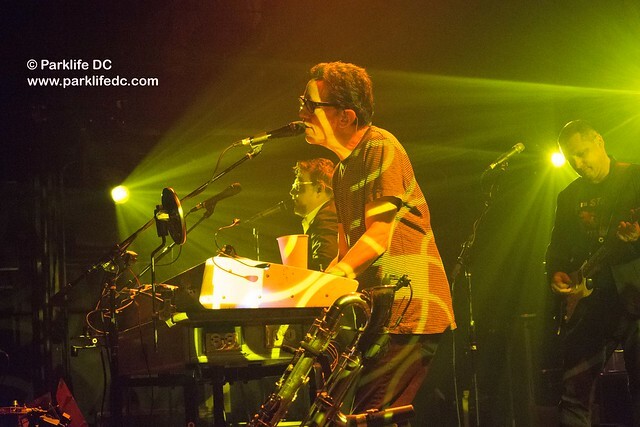 The delightfully unpredictable They Might Be Giants jammed the night away at 9:30 Club on Saturday, spotlighting a cool new record but also leaping fearlessly across time and space when moved to do so. 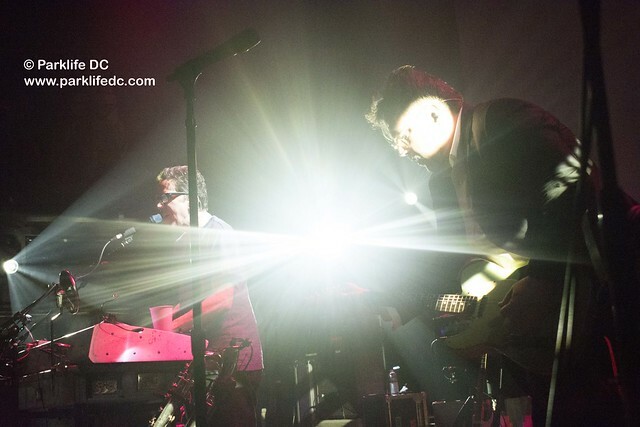 In short, John Flansburgh (“Flans”) and John Linnell (“John”) enjoyed themselves immensely, and they took a very packed, sold-out 9:30 Club along for the ride. Flans and John released I Like Fun, their 20th studio album, in January via Idlewild, and they wasted no time introducing us to it by starting the show with “Let’s Get This Over With,” a title that could harken a moodkiller if this were any other band. 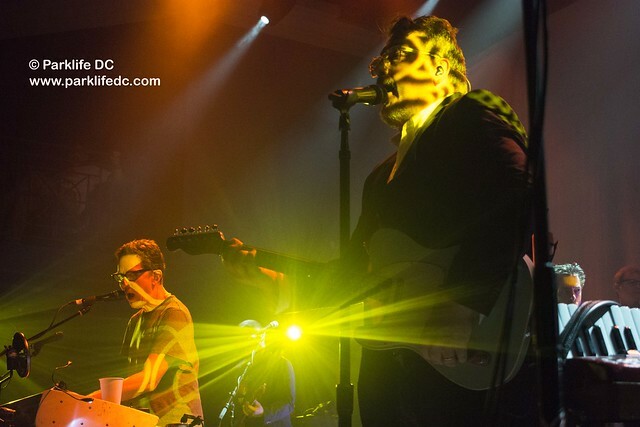 But this was They Might Be Giants, and spirits were high and moods were bright. 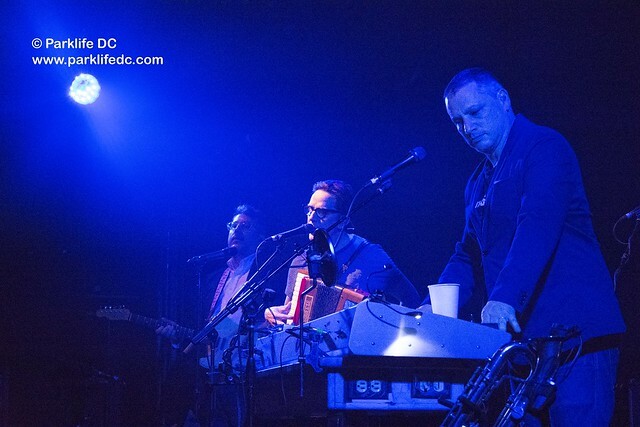 For a great deal of the show, Flans stuck to guitar and John stationed himself behind the keyboards to create their specific blend of uptempo jazzy jangle pop. But the gents would mix it up a bit, most notably when John would take up the accordion or a bass clarinet that “was not a giant paperclip.” The band broke nearly three hours of music into two halves, playing two generous sets that thrilled admirers to the core, particularly when they got to “the old stuff,” as John observed. And who am I to disagree? I couldn’t help but smiling and dancing through a shiny trio of songs that arrived midget with the Lincoln-era “Hey, Mr. DJ, I Thought You Said We Had a Deal” followed immediately by “The Guitar (The Lion Sleeps Tonight)” from the terrific TMBG fourth album Apollo 18, and irresistibly capped with “Whistling in the Dark” from stupendous third album Flood. They Might Be Giants closed down the first set with a quirky cover of “Bills, Bills, Bills” by Destiny’s Child and ended with a monumental rendition of “Spy,” their fantastic live staple that dates back to 1993. 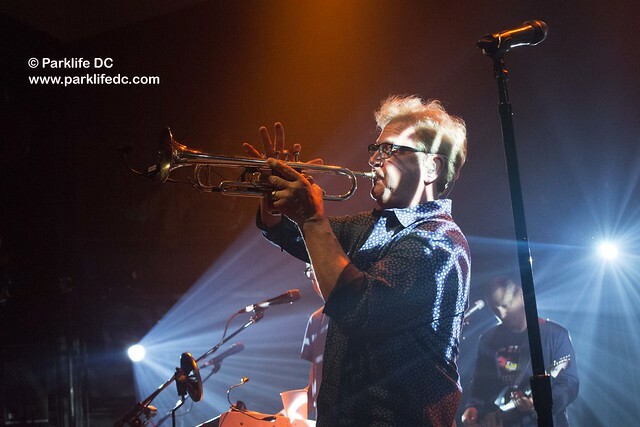 “Spy” presented drummer Marty Beller, bassist Danny Weinkauf, guitarist Dan Miller, and particularly trumpeter Curt Ramm with an opportunity to improvise madly, scattering the notes of the impossibly catchy number over a mod, Bossa surface. 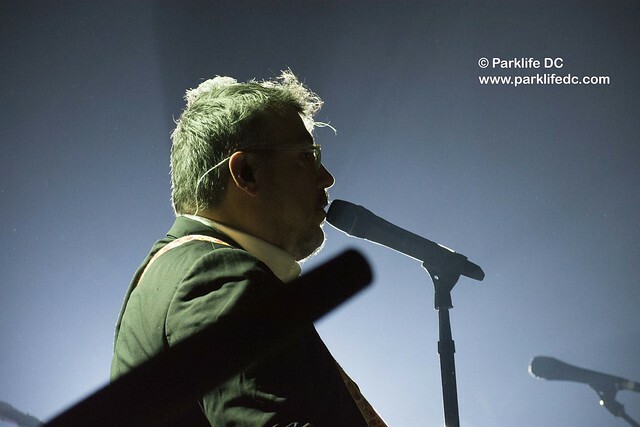 The experience left the audience hungry for more. 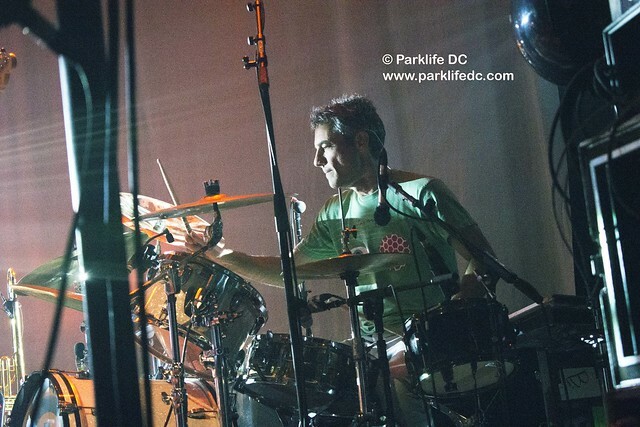 And more came in a second set with highlights that included fresh, new title song “I Like Fun,” a characteristically off-center ode to being slightly out of step with the world around you and not so much giving a damn about it. At least that’s how I interpret it, and such is a recurring theme in the musical persona of They Might Be Giants. If you didn’t already have your money’s worth, Flans and John later presented their wondrous cover of “Istanbul (Not Constantinople),” originally by The Four Lads, giving them another excellent opportunity to simply go nuts with their proficiency in improvisation. 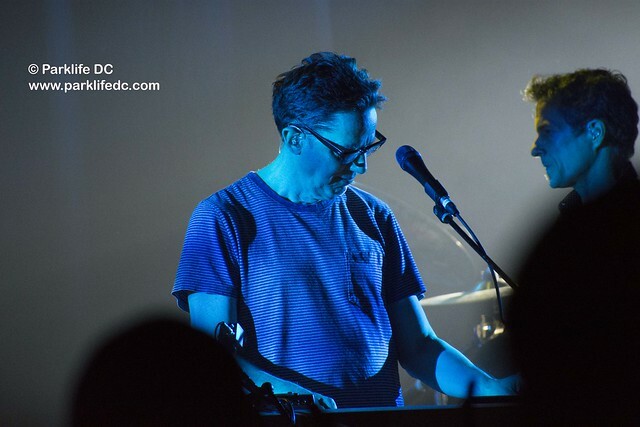 It soon was a pleasure to hear “Don’t Let’s Start” from their 1986 self-titled debut album — the song that introduced me to They Might Be Giants when I saw the music video on MTV’s 120 Minutes back in the day. 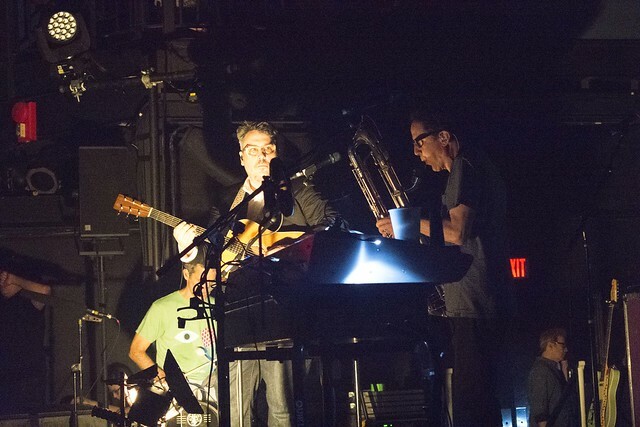 All in all, Flans and John led a merry march through musical mayhem that left roughly 1,10 0 people waiting for the next time They Might Be Giants come a’calling — surely within the next two or three years? 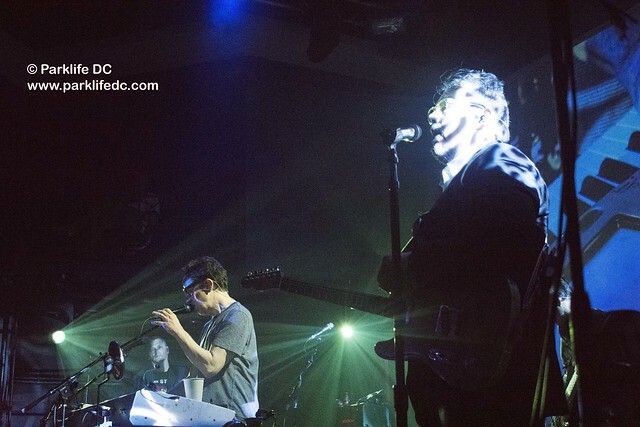 As John said at one point during the show in a note of appreciation mimicking an airline announcement, “We know you have your choice of bands like They Might Be Giants.” Thank you for choosing They Might Be Giants. 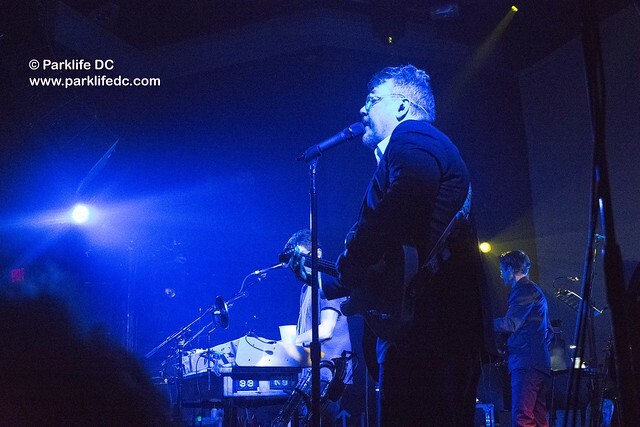 Except there is no band like They Might Be Giants. 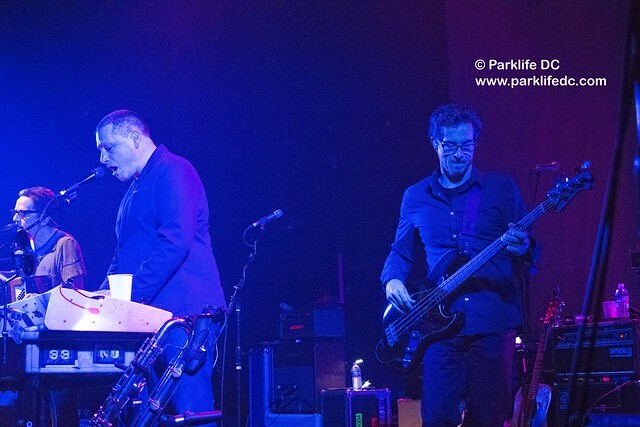 And for They Might Be Giants, we are grateful indeed. 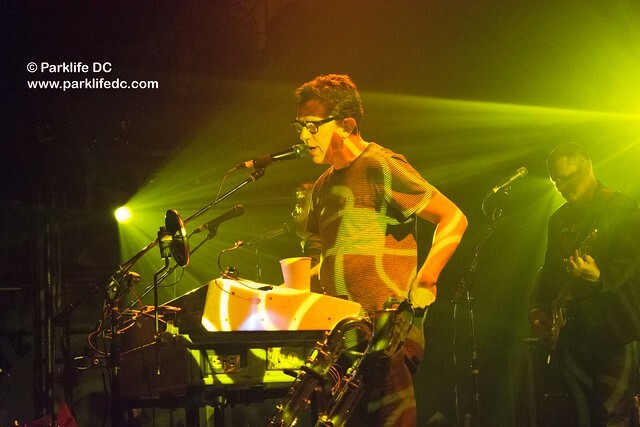 Here are some pictures of They Might Be Giants performing at 9:30 Club on April 14, 2018.